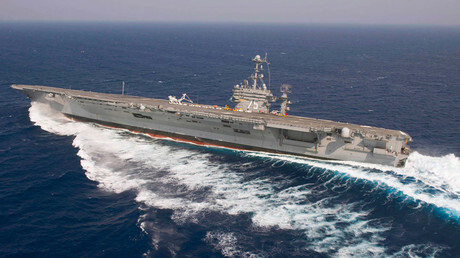 According to US military officials, Iranian vessels launched “several unguided rockets” near the aircraft carrier USS Harry S. Truman and its convoy as it entered the Persian Gulf after giving 23-minutes' warning of a live-fire exercise. Tehran officially denied on Tuesday that its Revolutionary Guards fired any rockets. The incident comes two months after Iran approved a historic nuclear deal with six nations, including the US, under the terms of which Tehran has to curb its nuclear program in exchange for the lifting of economic sanctions. I think what is interesting here is that despite the fact that the Iranian Navy did give notice, and very tellingly this was a joint task with the American and French navies taking part, and AP [Associated Press], the news agency [yesterday quoted] an authority within the French naval command saying that they didn’t regard it as anything serious and worth talking about, particularly because notice was given - 23 minutes’ notice - and at no stage was there any threat to the French and American ships because the missiles were fired in a completely different direction. What is interesting, I think, isn’t so much that this incident took place, but that there are still elements notwithstanding the kind of improvement of relations that you’ve mentioned between the West, America in particular, and Iran, there are still those that want to make as much as possible - particularly in the Western media - about these kind of instances, to play them up out of all proportion to portray Iran as a threat. Consequently, add to that the issue of ISIS and other terrorist groups where Iranian cooperation is particularly in areas such as Syria and Iraq is seen as important. 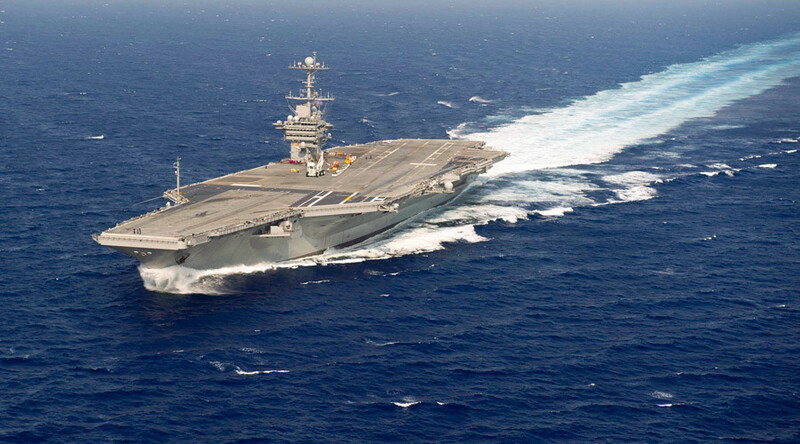 In many ways now not many people seriously want this kind of instant to derail what is quite clearly a direction of travel, should we say, towards closer relations and – hopefully, I think, all sides would agree - a lifting of sanctions in the end against Iran. But one can see from the Western media, as I said, that they try to play this up. For example, the BBC’s headline said something like “Iran tests US patience” without even inverted commas as if that was a fact that Iran was testing US patience. NBC [National Broadcasting Company] - its news [yesterday] says in its headlines that the ‘US Navy has a close call with Iran missiles’. Both of these seem very exaggerated given the comments of the French navy spokesman, plus the true situation of how around the world navies take part in live fire exercises.